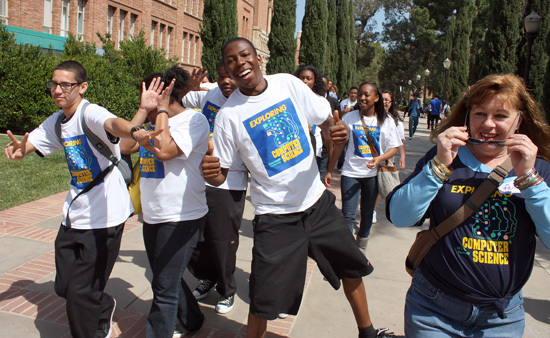 By Andra Lim, published April 18, 2010 on the UCLA Daily Bruin. Until this semester, high school junior Sharon Friedman used her computer to do homework and socialize with friends. But when she started taking Exploring Computer Science, a class created by UCLA in partnership with the Los Angeles Unified School District, she began to see that computers are more than just a portal to the Internet.